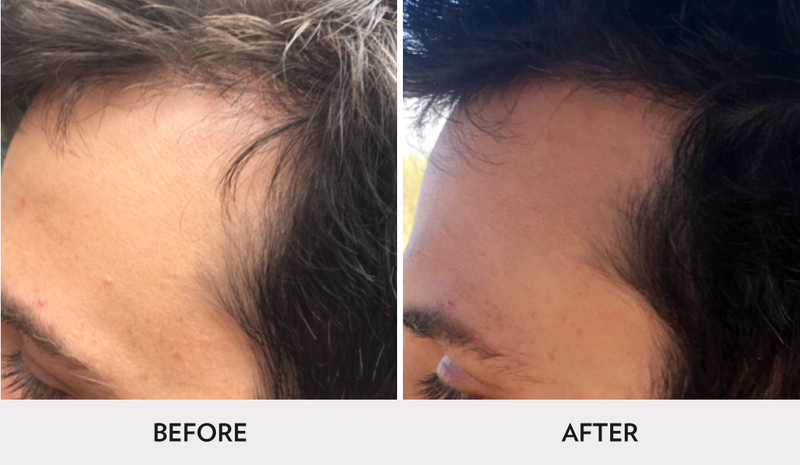 At Spa Radiance Medical, our hair restoration treatment combines cutting-edge Platelet Rich Plasma (PRP) therapy with Transdermal Vitamin Delivery (TVD). This specialized balance of science and nature works seamlessly with your own platelets to provide superior results. PRP (Platelet Rich Plasma) is blood plasma concentrated with platelets, your body’s own source of essential growth factors. Among its many functions, platelets stimulate the growth of new tissue and the healing of existing tissue. PRP is obtained by drawing a small sample of blood from your arm. The blood is then spun in a centrifuge, separating the plasma from the red blood cells. Transdermal Vitamin Delivery (TVD) is an exclusive formula made of pure vitamins and minerals and is preservative free. TVD therapy supports and enhances the effects of PRP. Our TVD serum is injected comfortably into your scalp. 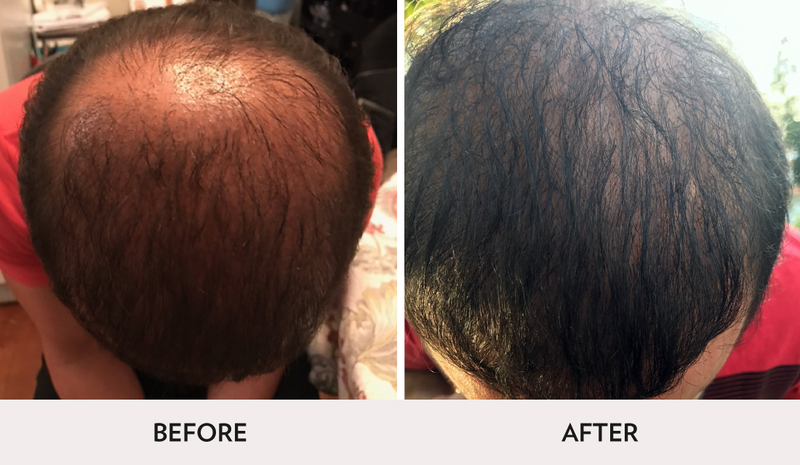 When injected into the scalp (comfortably and quickly) PRP stimulates hair growth, increases hair volume, and nourishes hair follicles. 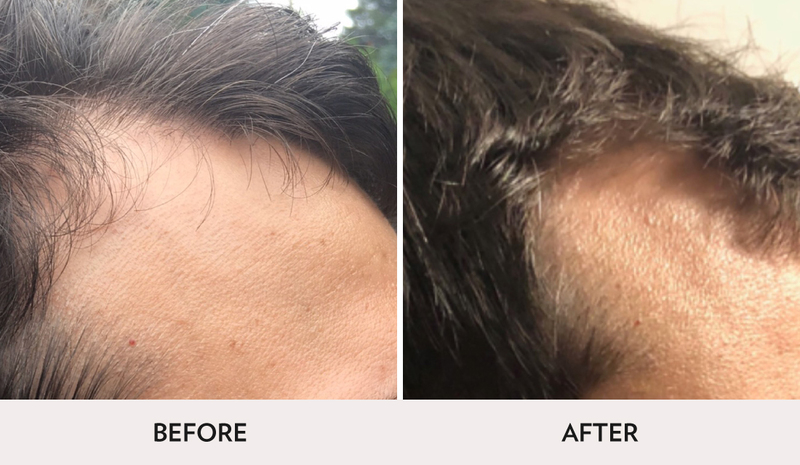 Our Hair Restoration Treatment consists of Pretreatment followed by alternating sessions of PRP and Transdermal Vitamin Delivery coupled with LED Light Therapy to give outstanding long-lasting results. Natural gluten-free oral supplements with bioactive ingredients to stimulate hair growth, invigorate the scalp, and rejuvenate hair follicles. Saw Palmetto is included and works as a botanical form of Propecia. The ingredients also have antioxidant properties. Comprised of vitamins, herbal remedies, and peptides applied directly to the scalp slow down hair loss, strengthens the hair root, and increases hair thickness. 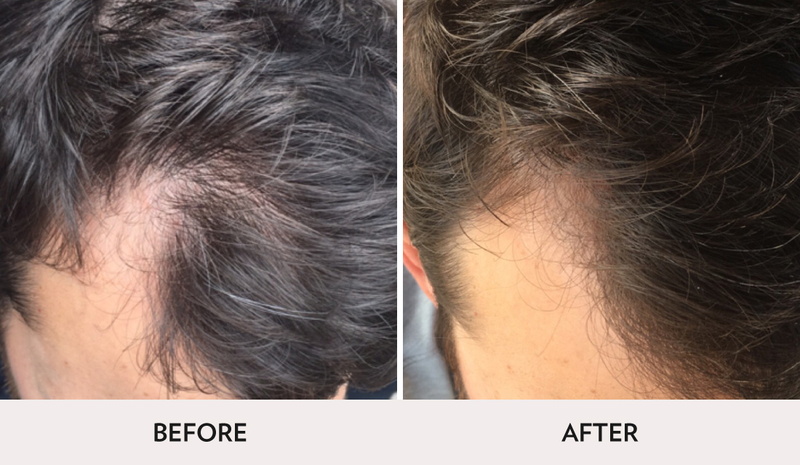 Apply to the scalp where needed and do not shower for 24 hours following treatment. If they want to apply daily, they can apply and make sure the product is on scalp for at least 14 hours before showering (washing hair) again. Once the client has been using the products and/or compound for 30 days, the treatment stage begins. The treatment stage is alternating between TVD and PRP with one of these every 2 weeks for 4-6 months. LED ($55) light therapy is used prior to each treatment to increase cellular activity, nutrient delivery, and reduce inflammation. You may experience slight tenderness to the area following treatment. This will subside within the first few days following treatment. Repeat treatment until desires results. And so on for 4-6 months results are maintained with PRP injections 2-3 times a year. PRP (Platelet Rich Plasma)is blood plasma concentrated with platelets, your body’s own source of essential growth factors. Among its many functions, platelets stimulate the growth of new tissue and the healing of existing tissue. PRP is obtained by drawing a small sample of blood from your arm. The blood is then spun in a centrifuge, separating the plasma from the red blood cells.